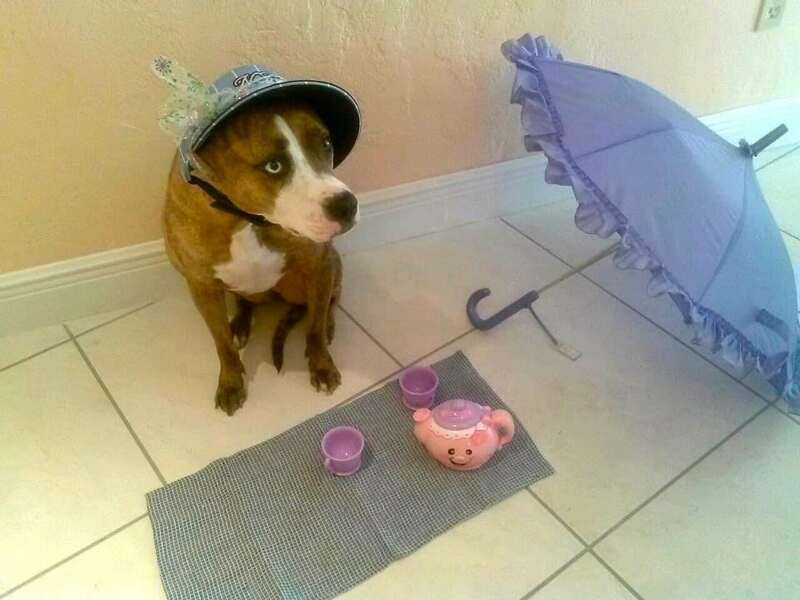 This pet owner confessed that she left her niece alone with the dog for 20 minutes and came back to this. Yes, unbelievable… a tea party. Could you imagine in this day and age when kids sit on their smartphones all day, chatting and watching videos, her niece actually took out some toys and played dress up with her dog? Guess her friends were all busy with their tech toys.